When you think of a pergola images of wisteria wrapped cedar posts often come to mind. Our client wanted something a bit different. A place to spend time outdoors with a bit of shade that would also connect them to the library structure on their property. 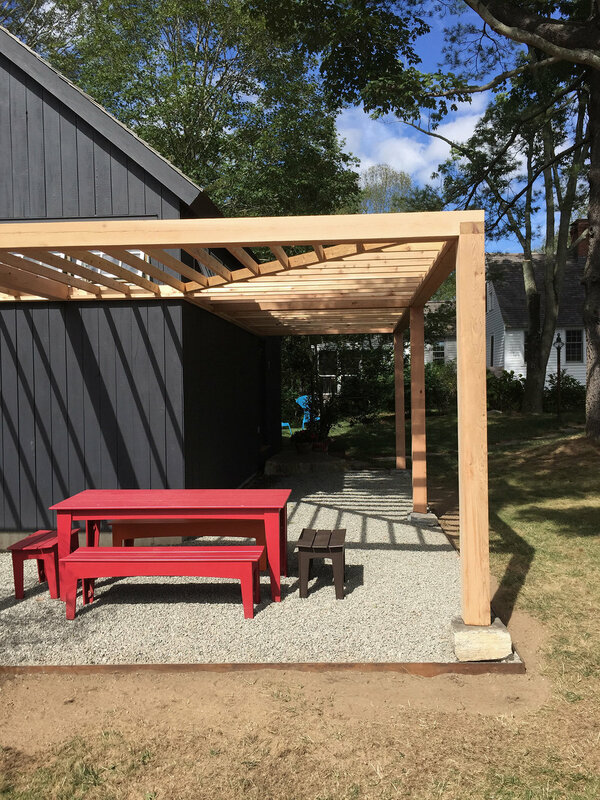 This modern pergola was influence by examples that our client found, but we used our own design details to make it unique. 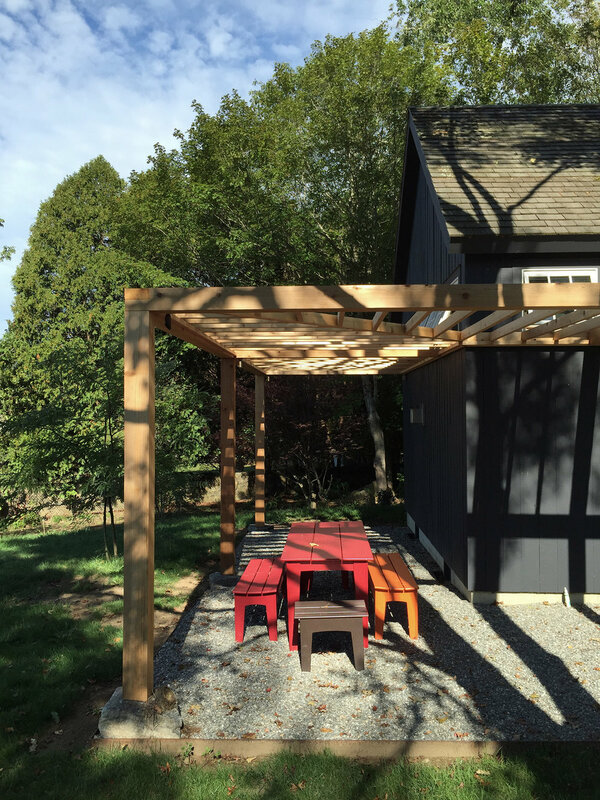 We used six by six cedar timbers to create the main structure. We then in-filled the structure with two by four cedar boards to provide shade from the sun. The posts sit on top of concrete footings that are obscured by native granite stones. The granite provides a rustic base for these posts to scribe to and sets them above the gravel. During the process we set a base for the pea stone patio and edged it with raw steel that will rust to a natural patina. For night time enjoyment we had low voltage lighting wired to down-light the posts at night with just enough light create a welcoming environment.